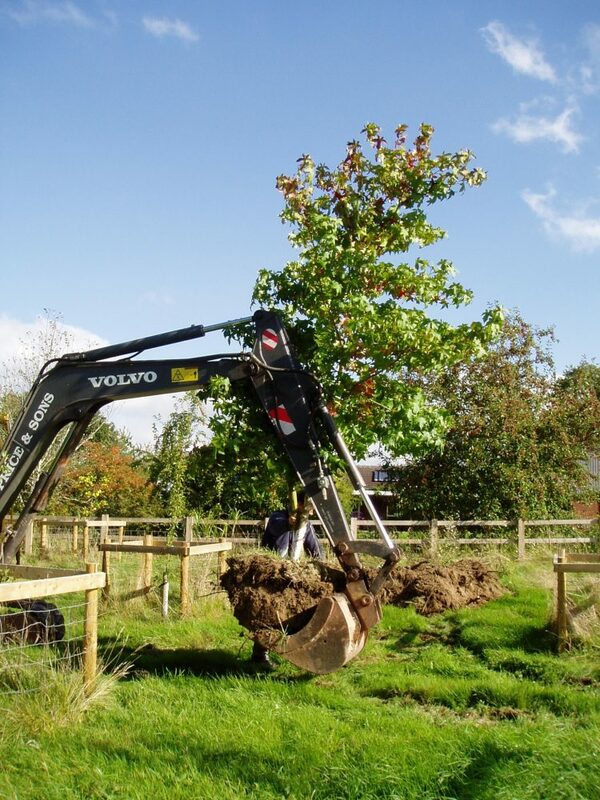 The groundworks team have been here this week and started off with moving the Liquidambar and the Persian Ironwood trees. Work has been carefully taking place around them for the last year, but they were too close to the house to remain where they were. We had hoped to move them last winter, but by the time the leaves came off the surrounding area was a totally quagmire. As the plan was to smooth the earth outside the house this week, it was time for the them to go, even though it is a bit early in the year. 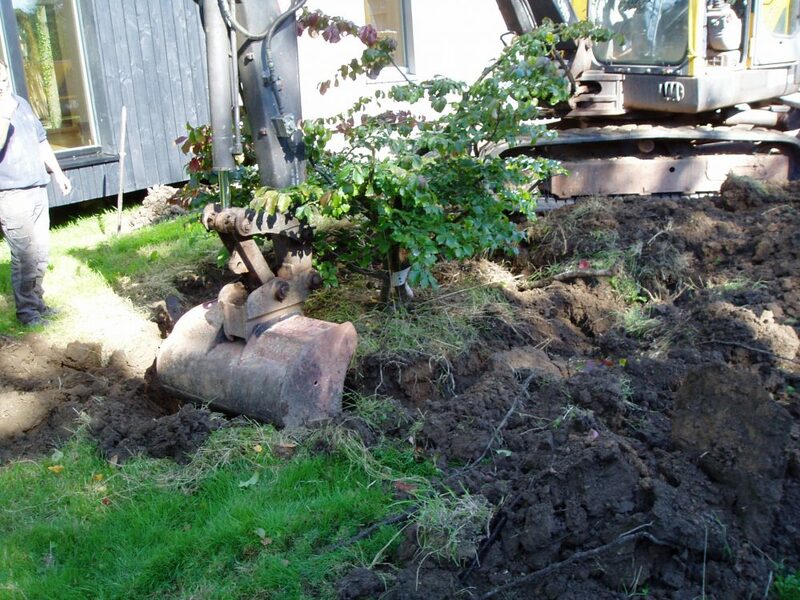 First to be moved was the taller Liquidambar, which came out of the ground with a neat block of earth and no cutting of big roots. 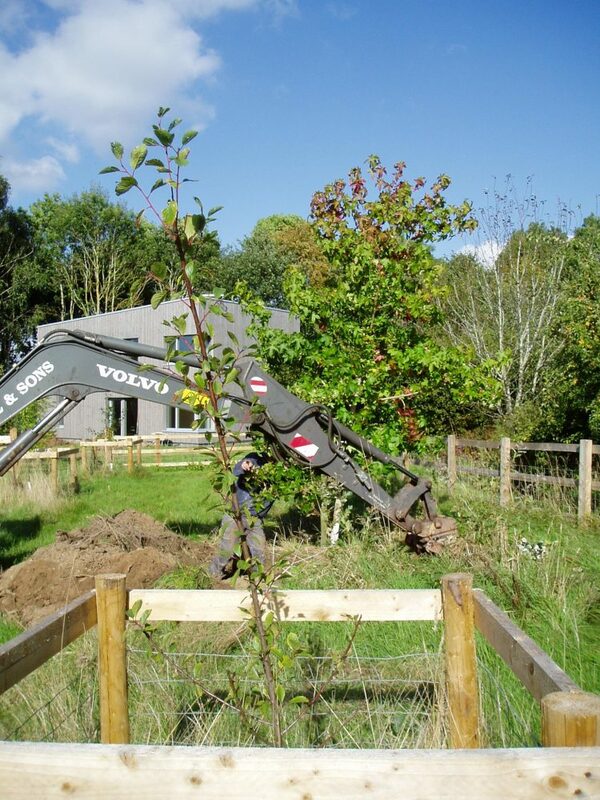 Before being gently lowered into place in the new orchard. 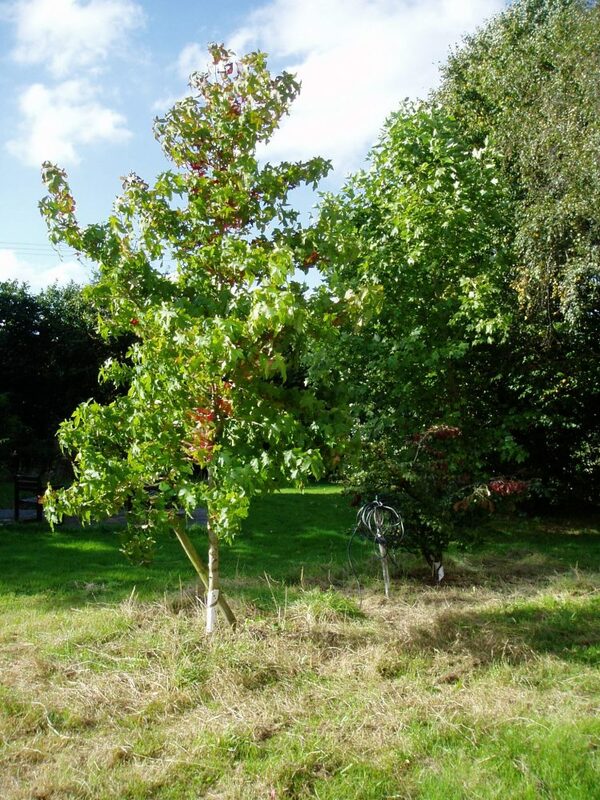 Next was the Persian Ironwood. This proved to have shallower roots and unfortunately several largish roots had to be cut. However hopefully it will settle in.